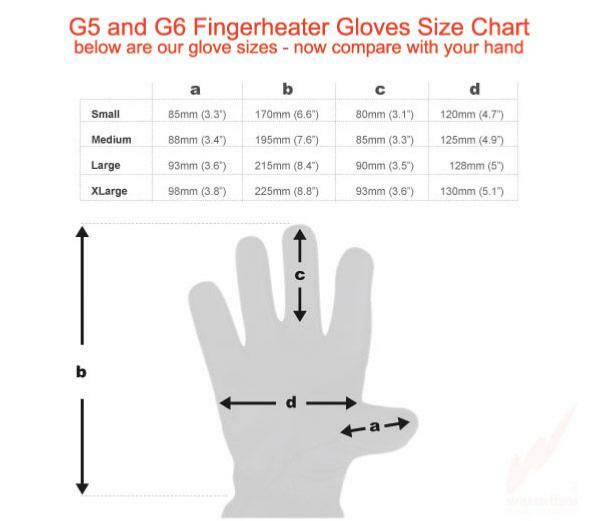 G6s are a big step forward in comfort and temperature. 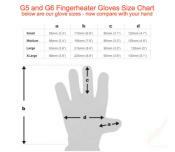 G6 stands for sixth generation, that's six years listening to you, the customer, five design changes, five improvements. There are BIG changes in G6s, not the least of which is that they are Waterproof! Four Sizes: Small, Medium, Large, X-Large. 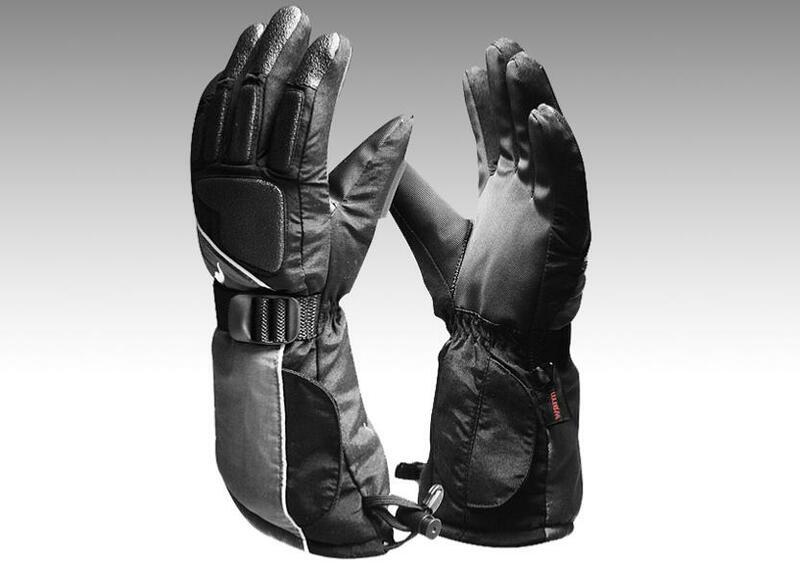 Two carbon-fibre heat pads per glove, one above fingers, two below fingers on palm. 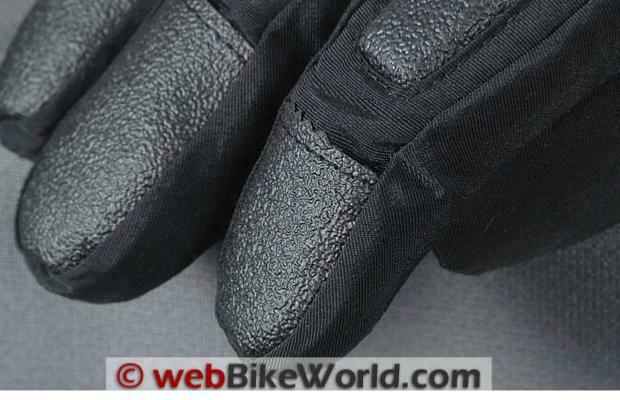 Tough rubber palm fabric for better grip. Car-charger plugs in car cigarette lighter so you can charge batteries on the move (available as Accessory). Slim batteries for lighter weight. 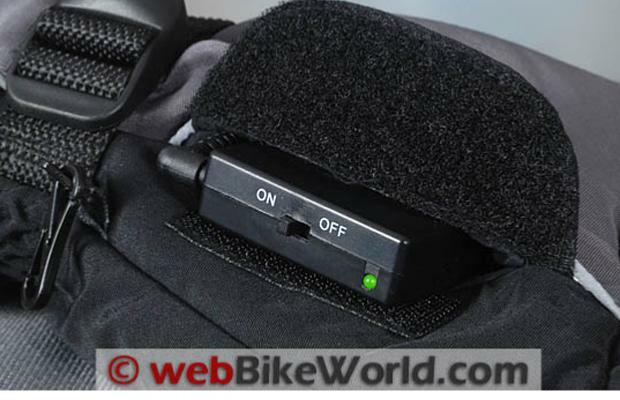 3mm reflective piping for increased visibility. Impact protection bumps protect fingers and knuckles. 2 x 3.7v batteries with charger (Standard). 4 x 3.7v batteries with charger (Deluxe). Travel Adaptor if purchased from outside the UK.